December has arrived and so has the holiday season! With its annual traditions and celebrations, Saratoga is the place to be this month. Each week there are multiple exciting events that are fun for both adults and children. 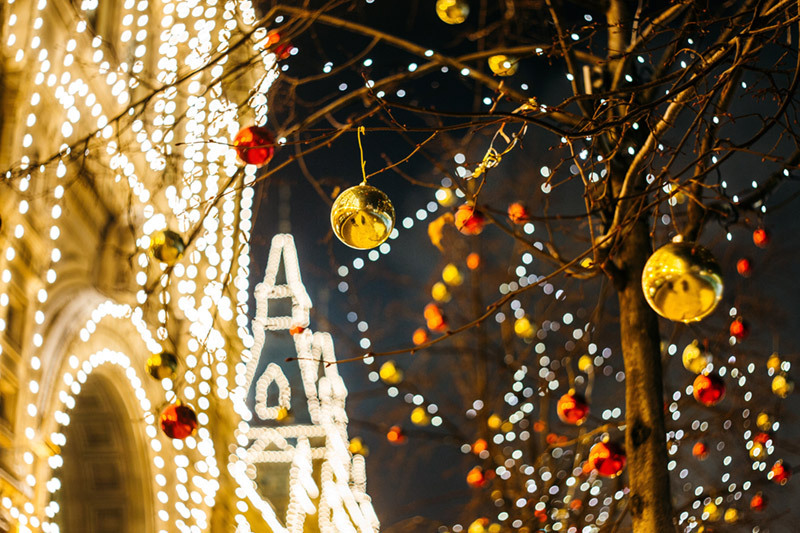 The twinkling lights and decorations throughout the city make a simple stroll through downtown fun as well! Whether this is your first holiday season in one of our Saratoga communities or you’ve been in town for a while, the list of things to do can be overwhelming. We’ve picked out some of our favorites to make deciding which to attend a bit easier! Take the kids to have breakfast with Santa on Saturday, December 1st! Happening from 8 AM to 11 AM at the Saratoga Springs City Center, this event is just a few blocks away from The Washington. Kids and adults will get to enjoy a continental breakfast with Santa, Mrs. Claus and other holiday friends throughout the morning. Located just minutes from 2 West , The Saratoga Winery is hosting a day that will be fun for the whole family! Santa will be visiting the winery on December 8th from 10 AM to 4 PM. Children can get their picture taken as well as enjoy cookies and hot chocolate. Parents will be able to enjoy the day with festive cocktails, chocolate, Bourbon Cream Coffee, and more! There will also be delicious wood fired pizza and warm appetizers. The best part? This event is free to attend! Feeling crafty? Craft Lively will be hosting their last workshop of 2018 at Bailey’s Saratoga on December 11th. From 6:30 PM to 9:30 PM you can craft a holiday project while sipping on an adult beverage! Choose from tealight holders, wooden signs, serving trays and more. Bailey’s Saratoga is a quick 4-minute drive from The Grove and is located at 37 Phila St. There is truly something for everyone this holiday season in Saratoga. Looking for more events? Check out a complete list here.